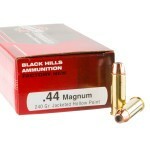 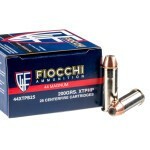 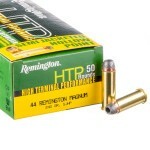 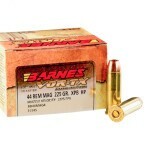 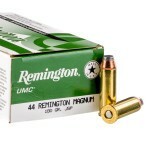 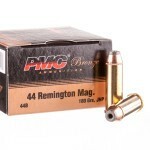 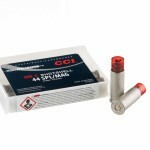 Bulk .44 Mag Ammo Online at BulkAmmo.com - Ready to Ship! 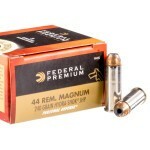 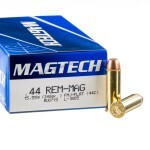 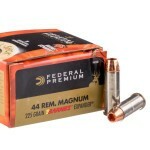 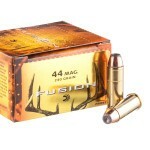 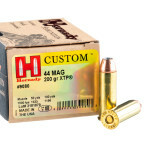 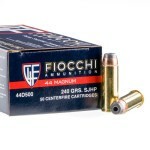 There are many different types of .44 Magnum ammo available. 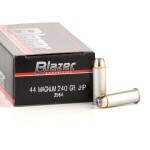 Most fire bullets in the 240-300 grain range, with heavier game requiring heavier projectiles to achieve sufficient penetration. 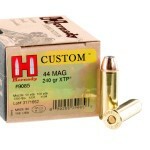 Muzzle velocities for .44 Magnum ammunition typically fall in the range of 1,200 to 1,500 feet per second. 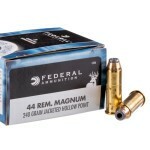 The high caliber of the .44 Mag helps ensure excellent expansion and solid close range performance against deer, boar, elk and other animals. 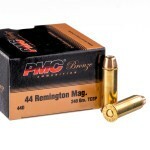 It should be noted that bullet selection for this caliber depends partly on the firearm used. 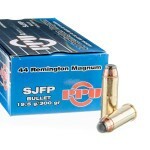 Soft point projectiles expand more reliably and perform better when fired from long guns, while jacketed hollow points are better used in revolvers. 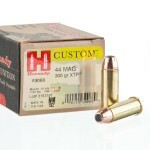 Bullet choice also varies with the terrain the user will be facing; for heavily wooded areas where shots may be taken through light barriers at close range, heavy, flat-nosed bullets are better. 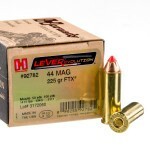 On the other end of the spectrum, polymer-tipped projectiles like those found in Hornady Leverevolution ammunition deliver strong accuracy and terminal performance even at extended ranges.